My fiancé and I had been singing along with "The Schuyler Sisters" from the Hamilton soundtrack multiple times in a row one night when I thought it'd be a fun idea to use Angelica, Eliza, (and Peggy) in a new puzzle. I crossed SCHUYLER SISTERS with ELLIE KEMPER, a fellow Princetonian, and set off from there. I'm happy that I was able to reference several strong women and people of color, including Ta-Nehisi Coates, whose "Between the World and Me" I coincidentally started reading last week. I'm proud to say that I made this puzzle completely by hand, which was a fun exercise. It took a long time to construct, but definitely made the whole experience much more palpable. Lastly, I want to give a special shout out to Ariana & Drew whose wedding I'll be celebrating today! This puzzle is dedicated to them! It used to be that most every themeless puzzle was a standard "four sets of stacks, one in each corner." I like the recent push toward big, open middles. Something cool about that swath of white space smack dab in the center. DEERSTALKER was my favorite long entry through there, as I'm a huge Holmes fan. I couldn't remember SILVER ARROW off the top, but what a neat brand name. And what a way to debut! Making these types of wide-open middles is hard enough with some computer assistance here and there — to do it by hand is daunting. 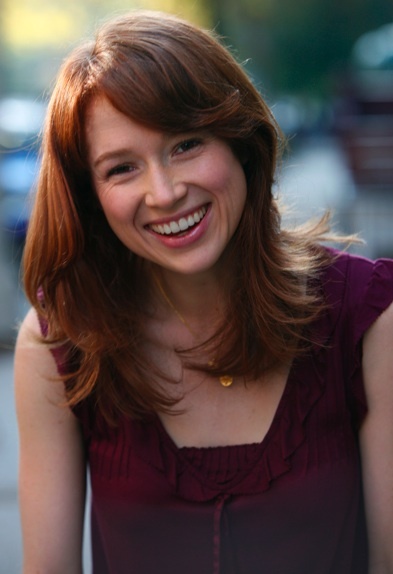 I've seen all of "The Office" and two seasons of "The Unbreakable Kimmy Schmidt," but I couldn't remember ELLIE KEMPER's name. Rats! I wonder if it would be different if the latter show had been on a major network instead of Netflix-only. Two years ago at the ACPT, people started talking (gushing, actually) about "Hamilton." This dummy had no idea what they were talking about, but I sure do now. Even the SCHUYLER SISTERS rings a bell now (although I still don't know exactly who they are). Amazing how "Hamilton" has exploded. I often don't care for proper names that you either know or you don't, but if they're huge enough in pop culture, they're fair game. Sara TEASDALE was tough for me to piece together — thank goodness I'm a huge "Music Man" fan (LIDA ROSE is a classic for me). But I wonder if that crossing might trip up a good chunk of solvers. I could see the case for calling that an unfair crossing. I'm also a huge fan of Norse mythology, so RAGNAROK was a gimme for me. Thank goodness it didn't cross EDERLE though — the exact spelling (for both of them!) is tough to remember. Along with OTARU and ANTOINE, that is a ton of tough proper names. I don't mind when a puzzle has a lot of proper names. It's when many of them could be called esoteric that it starts to feel like too much. And QUINTE, SEMIBREVE … that makes for a lot of learning and education in one puzzle. Thank goodness that this puzzle ran on a Saturday, the toughest day of the week. A lot of stuff I didn't know, a lot of learning I did along the way, a good educational experience. And a huge relief to have solved it correctly. I didn't have high confidence that Mr. Happy Pencil would appear. Impressive to debut this way — wide-open middles are so tough to construct. I'm looking forward to seeing what Ryan can do with the assistance of some modern tools. Answer summary: 4 unique to this puzzle, 1 debuted here and reused later, 4 unique to Shortz Era but used previously. The grid uses 23 of 26 letters, missing FJX. Average word length: 6.09, Scrabble score: 289, Scrabble average: 1.48.